Los Angeles Taiko Institute's first composition course! 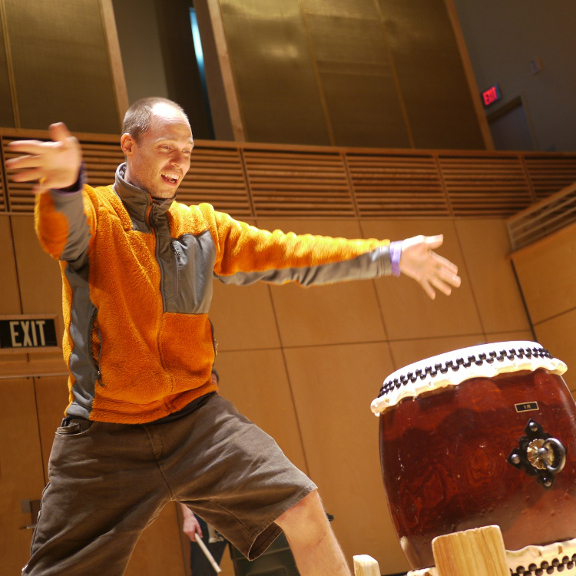 Create a new piece from start to finish, guided and inspired by seven straightforward approaches to taiko composition! Learn Kris' tips for writing compelling grooves (tonal repetition, timing precision), arranging for the taiko orchestra (the taiko "scale"), researching through light-hearted improvisation, and overcoming self-doubt (literal composition, named phrases). This fun and fast-paced course culminates in the performance of a new piece during PEAC Week! The advanced technique of experienced players will be utilized when available but the course is open to players of all levels. Five or more participants are required for the full 12-week offering. Note there is no class June 11 (for Taiko Conference) or July 30 (instructor leave). The term has been extended to accommodate the full 12 classes.